Dyson Airblade Tap Hand Dryer Cost & Price -- Are they Worth it? Are Dyson Airblade Taps a Good Investment? 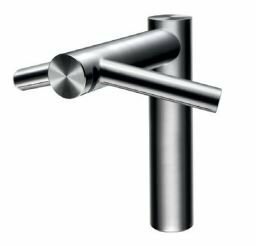 If you are wanting to check out the kind of cost and price you are looking at for the Dyson Airblade tap -- and seeing whether it is a worthy investment? Then you have found the right place. This account will firstly argue the points 'for' it being such a good investment & then go on to explain the costs & prices of the Airblade Tap in detail -- and effectively how it "saves" you money (i.e prevents loss). 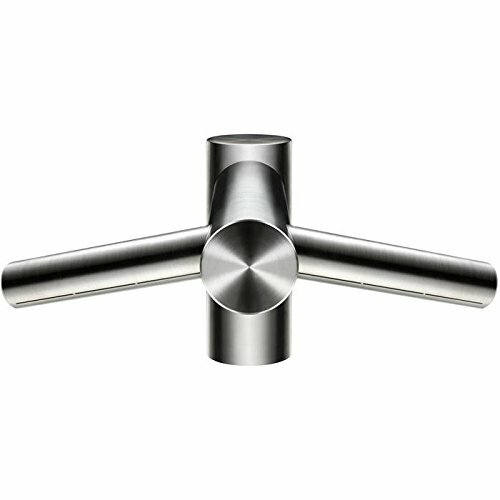 What is the Dyson Airblade Tap? Just to give a brief overview, it essentially a commercial tap that (that functions just like an ordinary one) however has been combined with Dyson's Airblade technology -- to allow a user to dry their hands right at the sink within just 'twelve seconds'. Check out the video just below to see it in action. You don't need to have a separate 'Hand Drying Area' -- therefore those bathrooms which are a bit more compact & short on space, this is an ideal way of saving you on room. Moreover, as Dyson engineers explains above -- it also saves "dripping water on the floor" as you move over to that specific area -- hence no water gets left on the floor that could cause potential hazards. As said, it takes just 12 Seconds to dry hands -- compare this to the average 43 seconds of a standard hand-dryer, which is way too slow and can cause ques to occur (or worse, people becoming impatient & leaving with damp hands which increases potential spread of bacteria by a 1,000). Moreover, it is fitted with HEPA filters to prevent bacteria & viruses from being expelled into the air -- hence hands are dried using 'clean air', not infected air like that of standard hand driers. It also has a low carbon-foot print & has been given multiple awards & accreditation such as -- being the only hand-dryer with a carbon reduction label & being approved by the food environments HACCP & the NSF health protocol (along with various water regulations) -- specific details include: the Airblade can "produce up to 72% less C02 (carbon diozide)than other hand-dryers and up to 68% less than paper towels"
It will save you money! This where businesses should really take note -- for instance, if you are using paper-towels as your means of letting customers dry hands, you will constantly need to pay to replenish your stock (or if you use a traditional hand-dryer -- they are usually high energy consuming). But, the Airblade Tap costs up to 70% less to run than hand-dryers and 98% for paper towels (as well as the saving in the initial cost of buying taps). Head to their website and you can use their specialised calculator to work out exactly how long it will take you to save & make back your initial investment -- average estimates suggest well within "two years" (depends ultimately on how often customers use your toilet facilities). Moreover, it is also backed by an award winning service and award winning guarantee of 5 years for both parts and labour. How have Dyson been able to achieve such an accomplishment? It is pretty impressive that they can get a simple 'tap' and make it such an intelligent & technological product -- and it all mainly all down to just one technological (well a make up of) triumph their -- Dyson Digtial Motor, which was £27 million & 'seven years' of investment in research & development. The tap is fitted with one of the world's "smallest fully integrated 1600 watt motors" -- which is why it can draw such a huge amount of air (30 litres per second) through the specialised filters (mentioned above) and then essentially spray the water of your hands (rather than dry them like that of a traditional one). Moreover, there is absolutely no reason to fear breakage -- as Dyson are famously known for their "unforgiving testing plants" as well as the guarantee provided. AB09 Vs AB10 Vs AB11 -- Note: there are three distinct versions of the tap --with the differences being the following: the AB09: which is basically a 'short' version, the AB10: which is a 'long' version & then finally the AB11: which is a 'wall' fitted tap. As, you may have seen from the above -- the cost of the Airblade Tap isn't that cheap. But, anyone with a bit of business nouse sees the obvious potential here (use the Dyson calculator + the savings made on having the taps installed + the saving on less water being used per month, then divide the cost by this figure and you will soon realise just how quickly your investment has paid itself back -- compared to a constant running cost) & obviously look past its 'price tag' -- it is a wise investment. Buy the Airblade tap -- and then seek the major benefits later with the huge reduction in energy bills. Moreover, you are bound to get more satisfied customers with the use of the toilet facilities -- using state of the art technology even within the bathroom -- says a lot about the class of business & its intentions. If you have any questions, comments or concerns regarding the Dyson Airblade tap cost & price and about the specifications of the Airblade tap specifically then please do not hesitate to make them in the comments section below and we will be sure to get back to you as soon as possible.